Thanksgiving tables have been cleared, which can only mean one thing: we have officially entered full force into the most wonderful time of the year! I love everything about this season—the cozy nights curled up on the couch with hot cocoa, the cheesy Hallmark movies everyone loves to make fun of but can’t seem to stop watching, the smell of fresh pine, Starbucks Red Cups, the twinkle lights (oh, the twinkle lights), red lipstick, Christmas music, Christmas cookies, time with family and friends, and most of all, the opportunity to remember and celebrate the gift we have in Jesus. I also love giving gifts to the people in my life during this season, but the one thing I don’t love is the self-imposed pressure that sometimes goes along with picking them out. What should I get? Will this person like it? Will it be “enough”? In a consumerist culture, it’s all too easy for gift-giving to turn into an issue of proving (like “hey man, I love you this many dollars worth”—The Office, anyone? ), but when I take a step back I remember gifts aren’t about proving love, they’re simply one of many ways it can be expressed. Another temptation in the hustle and bustle of a busy season (plus being a very task-oriented person myself) is to slip into viewing gift shopping as one more thing that needs to get done. But when I plan ahead and give myself a bit more time, I remember how much fun it can be! I love challenging myself to be creative in thinking about what would be meaningful or enjoyable to the recipient based on whatever is going on in their life. 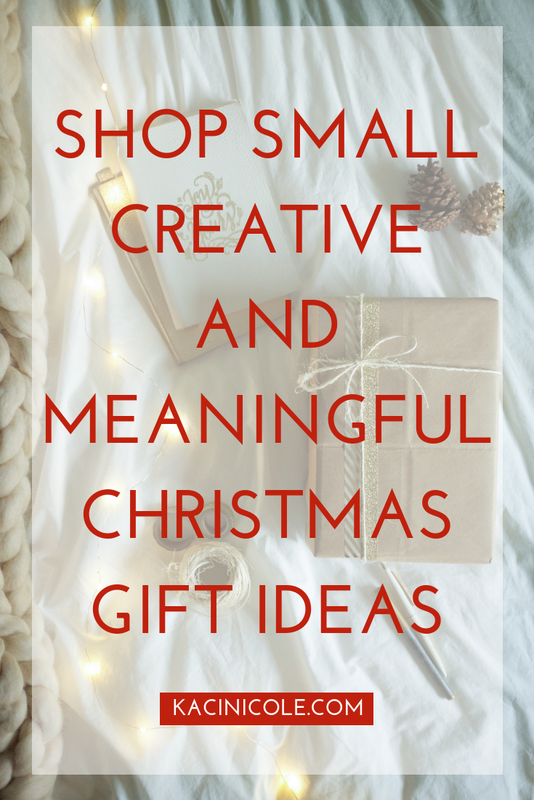 I thought it would be fun to round up a list of some of those creative ideas I’ve come across the past couple years, and because many of them I bought from small businesses I discovered on Instagram, what better time to share than now as we head into Small Business Saturday tomorrow! 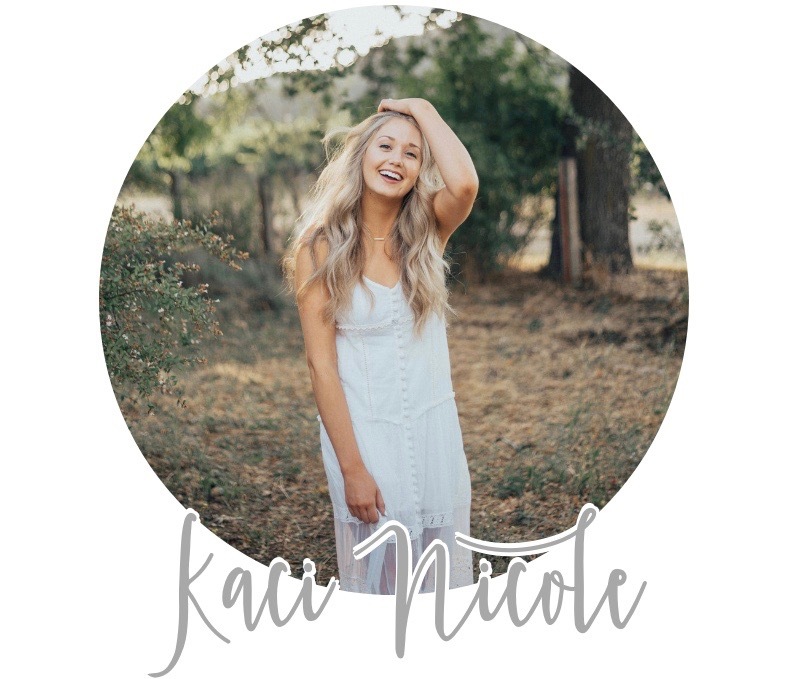 Below is a list of some small businesses I love—along with gifts I’ve given from them (or things I’ve bought for myself at some point, that would also make great gifts for others 😉). Bonus: many of these places are offering Black Friday and or Cyber Monday deals right now, so be sure to keep an eye out for those as well! 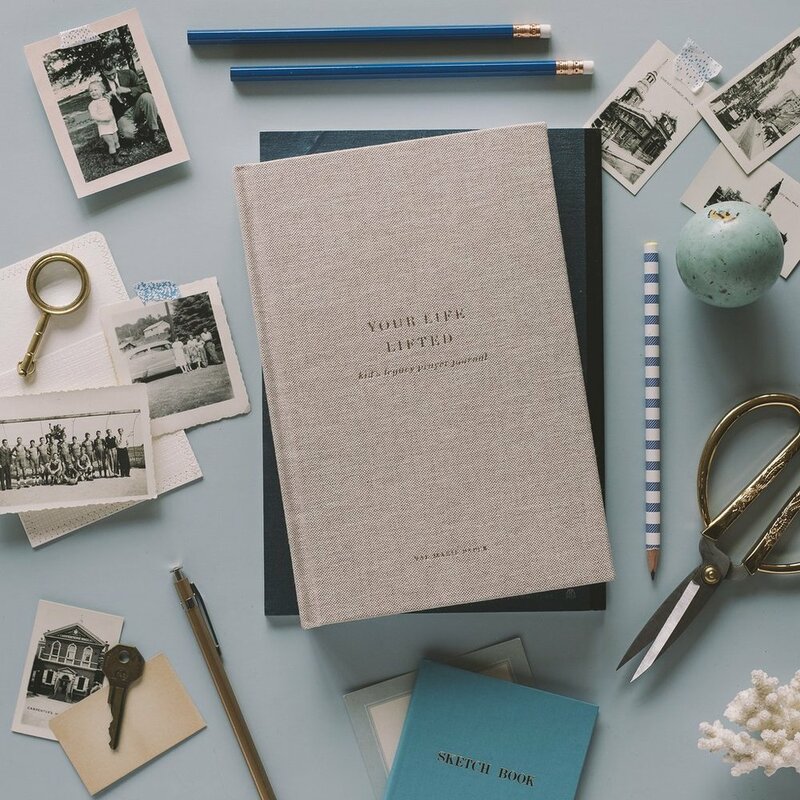 Val Marie Paper offers several stationary-type options, including calendars, prayer journals, and regular journals, but my favorite Val Marie product is the Kid’s Legacy Prayer Journal. This journal has prompts that guide parents through praying over various aspects of their child’s life throughout the child’s life. I think it’s so special to have all those prayers recorded in one place for the child to potentially be able to look back on one day. I gifted this journal last year to one of my best friends who had just become a first-time mom. Beating 50 Percent is a blog devoted to helping encourage marriages that are “undividedly devoted, completely committed, persistently selfless, value-centered, joy-filled, and love-based.” They sell a few apparel items, but the gift that caught my eye was this Navigator’s Council Marriage Journal, which guides couples through questions to ask and record their answers to. I gave this to a friend who was newly engaged last year, and it could also be a great gift for friends who have been recently married. If you follow along on Instagram, you know I can’t stop talking about my Scribe Bible Journal—but it’s honestly that great. They’ve sold out several times since their launch earlier this year, so clearly I’m not the only one who thinks so either (but no worries, they’re back in stock for Christmas). This has been a HUGE tool for me in learning to dive deeper into God’s Word, and making Scripture memorization into more of a habit. I can’t recommend it enough! This is a perfect gift for anyone wanting to learn how to study the Bible and grow more consistent in reading it. Okay, so this is definitely a splurge item—I had been eyeing the merino wool chunky knit blankets from Sarah Lou Co. for quite some time before finally getting one recently—but let me just say, no regrets. It is the comfiest, coziest blanket you’ll want to snuggle up in forever and it’s also the cutest statement piece on a bed or couch. Sarah also just launched a line of faux fur throws. I haven’t tried those out yet but I’m sure they’re just as heavenly as her wool ones—a perfect gift for the homebody on your list! It’s probably not normal how excited I get over planners—but then again when they’re this pretty, how could you not? 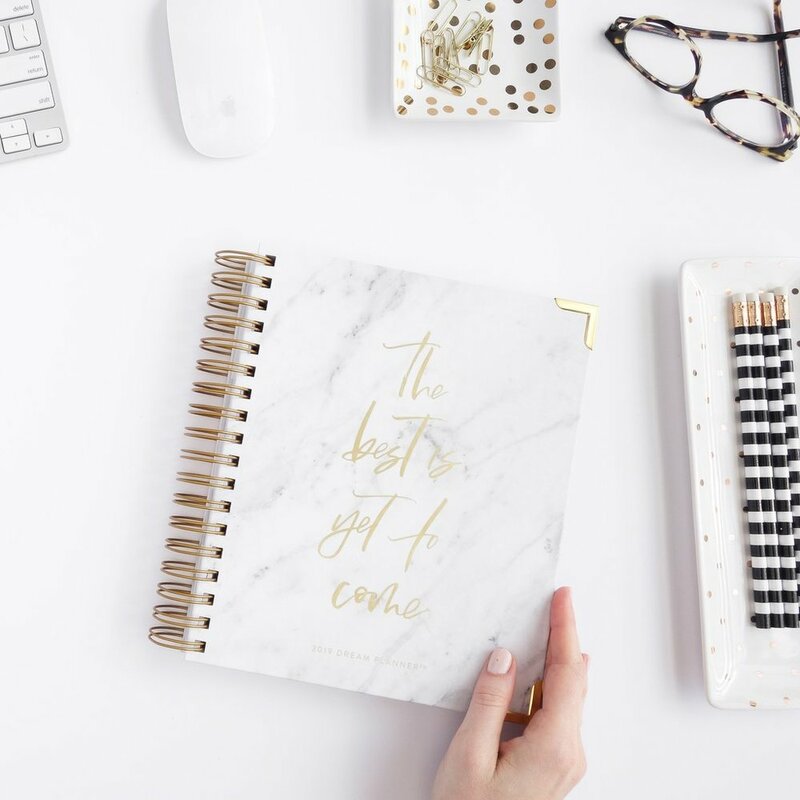 The heart behind Horacio Printing planners is to help people connect with their God-given purpose, and that mission is apparent in every beautiful detail. It has both monthly and weekly layouts, dream planning pages, and a spot for you to fill out monthly praise reports. This is a great gift for the goal-getter who also needs a reminder here and there to stop and appreciate how far she’s already come. Preemptive Love Coalition is an organization working to bring relief to and create jobs for refugees in Iraq and Syria. In their online shop, they sell so many items that people typically buy as stocking stuffers or Christmas gifts anyway—candles, hand towels, soaps, ornaments. The difference is, when you buy from Preemptive Love rather than your local Target or Bath & Body Works, you’re empowering people who have been displaced due to war or terrorism—and helping them build a better, more hopeful future. One of the questions I get most often is where I got my journaling Bible from and the answer is, The Daily Grace Co.! 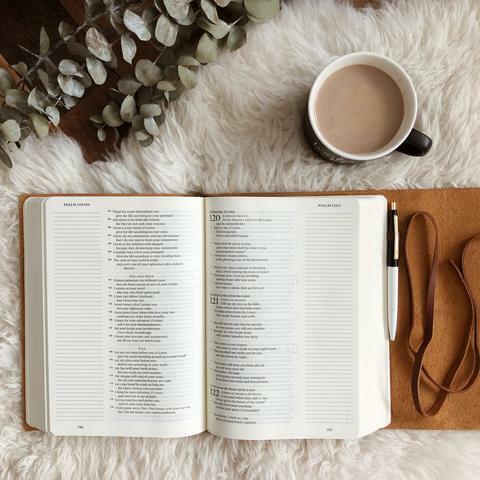 It’s an ESV single column journaling Bible, which means there’s space to jot down notes, and its leather cover only gets more beautiful with time. In addition to Bibles, they also has a ton of other resources to help you grow in God’s Word including studies, journals, gel highlighters (which I love because they don’t bleed through the thin Bible pages), and more—lots of good gifts to choose from for someone who has been wanting to grow in their walk with God. Now it’s your turn to chime in—do you have any ideas to add to this list? What’s the most meaningful gift you’ve ever received, or a creative, thoughtful gift you’ve been SO excited to give to someone? Share in the comments below!